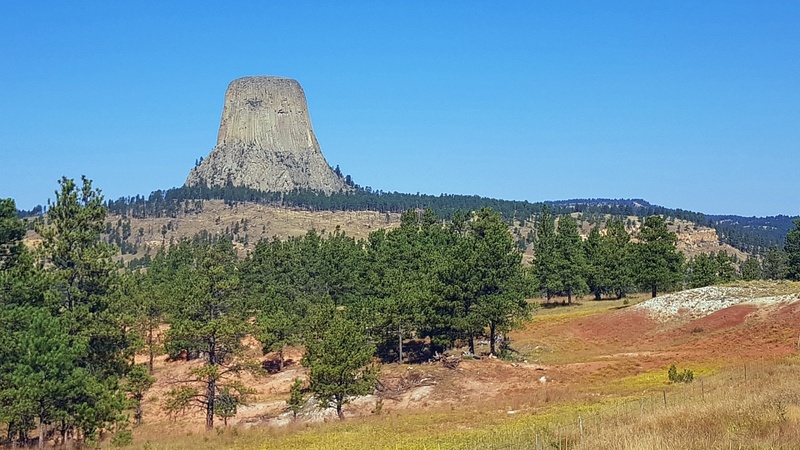 Anyone who saw the movie Close Encounters of the Third Kind back in 1977 will be familiar with Devils Tower in Wyoming. It sticks out above the horizon like the proverbial sore thumb, but its true scale isn't apparent until you get closer. With binoculars, you'll see climbers scaling the face of the 900 foot high monument like so many ants on a hill. 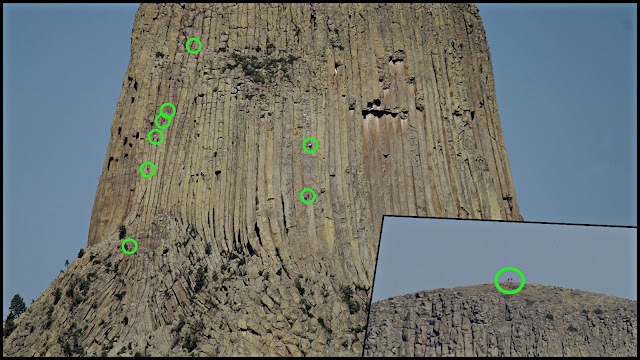 Each of the green circles in the bottom photo indicates where one or more climbers were visible on the day that we were there. There was even a couple at the top.